Angry activists raised Palestinian flags and attempted to intimidate attendees by shouting down Horowitz, making it impossible to hear his words at the onset of his speech. The demonstrators chanted, “David, we reject your presence on our campus,” “Zionists off our campus,” and “Islamophobes off our campus.” Then, they erupted into “Free, free Palestine.” One female protester held a double-sided sign that read “Black Lives Matter” and “#Racists OFF our campus” while sporting the keffiyeh, the checkered scarf associated with Palestinian nationalism. “Students for Genocide at the University of Houston” from DHFC on Vimeo. Karen Ben-Moyal, student founder and president of the UH YAF chapter, told Breitbart Texas that university officials approved the event in early October. The group expected around 75 people to attend, but Ben-Moyal recounted that roughly 40 students and Houston community members waiting in line got turned away by the University of Houston Police Department (UHPD). “I specifically asked UHPD to let in the people who were there for the event first and then, let in the protesters afterwards,” she said, describing feeling “horrified” that campus police instead allowed protesters into the room but left so many of the people who came to see Horowitz outside the venue. She stated that after the protesters exited, UHPD told those remaining on line to leave only permitting a few YAF members’ parents, including her mother and father, to enter. Breitbart Texas spoke to UH Media Relations Executive Director Mike Rosen who called the event “first come, first serve” and disputed that people got turned from attending the event. However, based on social media footage, it did not appear as if people filed in to fill the many seats left empty by departed protesters. 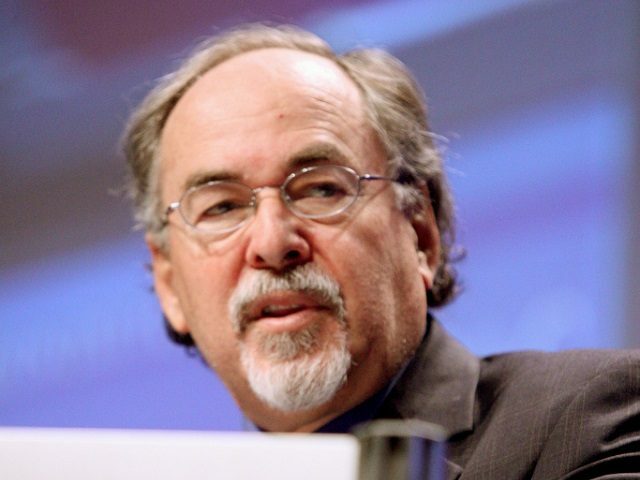 Since the event, SJP and 13 other groups plus six UH professors decried Horowitz in a written declaration, calling on the university “to also condemn the presence of David Horowitz on our campus in order to signal to us and the broader community that it is committed to the principle of anti-racism.” Other signatories included Students for a Democratic Society (SDS), Young Communist League, Muslim Student Association (MSA), Palestinian Youth Movement Houston, Palestinian Solidarity Committee in Austin, Refugee Advancement through Humanitarian Aid, Egyptian Student Association, and feminist and gender equality groups. The conference listed as a goal to “pass” boycott, divestment, and sanctions (BDS), the discriminatory movement that uses false, distorted, and anti-Semitic rhetoric to demonize Israel and its citizens to isolate the Jewish state. This spring, SJP held its annual Israeli Apartheid Week on campus to build support for the BDS movement. It featured an Israeli mock apartheid wall that sought to deny the legitimacy of the Jewish state. In stark contrast, Texas enacted the toughest anti-BDS law in the nation this year, mandating that companies which contract with state government entities must verify they do not and will not boycott Israel. It also bars state pension and endowment funds like the Teacher Retirement System, the Employees Retirement System of Texas, the University of Texas Investment Management Company, and the permanent school fund from investing with companies that boycott Israel. Breitbart Texas reported on rising anti-Semitism on Texas college campuses, including at UH. A 2017 report by watchdog group Canary Mission, “Houston, We Have an Anti-Semitism Problem,” exposed an alarming number of social media posts that expressed hatred of the Jewish people and Israel coming from individuals associated with campus chapters of SJP and the Muslim Students Association (MSA), plus other supporters of the anti-Israel BDS movement. Canary Mission told The Algemeiner they uncovered a “disturbing degree of hatred” among a group of current and recently graduated UH students who posted dozens of anti-Jewish online messages that also praised Hitler, mocked the Holocaust, and threatened violence against Jews. Last year, congressional testimony unmasked American Muslims for Palestine (AMP) as “arguably the most important sponsor and organizer for Students for Justice in Palestine,” the “visible arm of BDS campaigns on U.S. college campuses.” It also uncovered that several AMP members were formerly affiliated with the Texas-based Holy Land Foundation (HLF), the Hamas funding operation shut down in the largest terrorism-financing trial in U.S. history.